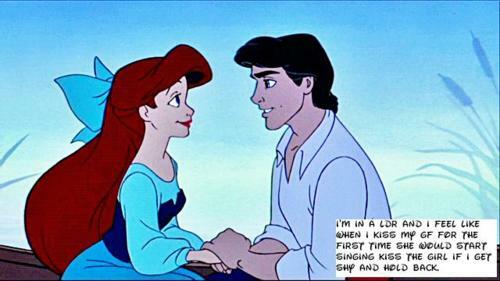 ariel and eric. . Wallpaper and background images in the Ariel and Eric club tagged: ariel mjfan4life007 the little mermaid eric disney. This Ariel and Eric fan art contains anime, banda desenhada, manga, desenhos animados, mangá, and quadrinhos. "My amor for you is deep as the ocean"